I have a friend who was single for years and had grown so tired of it that she came to me for advice. She’d been asking everyone she knew to introduce her to every single they knew and had been trying the bar scene every weekend, but those things weren’t working for her. She wanted to know something else she could do and asked me “Should I do online dating? Like, really?” I could hear the skepticism in her voice, which I’ve heard before when discussing this subject. According to Statistic Brain, over 49 million people have tried online dating — showing that it’s a very popular choice among singles, and we expect that amount is only going to grow as the years go on and more sites are created. Founded in 1995, Match.com was the first dating website and has become a household name, whether you’ve seen the commercials, know someone who’s used the site, seen an ad online, or whatever the case may be. Below is a quick snapshot of what Match has to offer. Because Match is the dating website that’s responsible for the most romantic connections, you’re more likely to have success here than with any of their competitors. In addition to having more than 3.8 million visitors a month, Zoosk has 38 million members in total and 3 million messages are sent on the site every day, so the user base is extremely active. If education is a top dating priority for you, EliteSingles is a go-to. About 82% of their members have earned a bachelor’s, master’s, or doctorate (or a combination of the three) — not to mention 90% are 30 or older and 100% want a long-lasting partnership. On a monthly basis, EliteSingles sees 165,000 new signups and 2,500 members find love. You gotta admit those odds sound pretty good. Payment is a common thing on people’s minds if they’re considering online dating, and with some sites charging as much as one of your monthly bills would cost, it’s understandable. However, you don’t have to pay for online dating to take part in it. Most sites are 100% free and will give you access to all the features you need to find a match — such as profile creation, browsing, and communication. For example, Match has an all-inclusive three-day trial that won’t cost you anything, while Zoosk has a free subscription that never expires. Something we’ve always liked about online dating is you can have all the control if you want, you can let the experts take control, or you can find a happy medium with both. Almost every online dating service allows you to search for matches on your own based on your criteria (e.g., appearance, lifestyle habits, and religion), but they’ll also suggest highly compatible matches based on that same criteria. Other ways to meet people are to look at members who’ve added you to their favorites list, viewed your profile, or sent you a virtual wink and decide if you want to show interest back. Additional features you should take advantage of are the site’s help page, blog posts, and social media accounts, which usually have important tips about topics such as how to make a profile that stands out, which photos are the best and worst, what to say in the initial message, and how to ask for a first date. 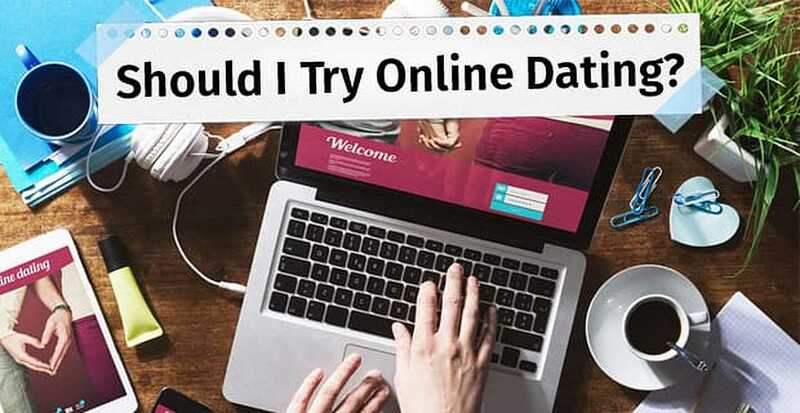 It’s true there have been some scary stories in the news about online dating experiences that have gone horribly wrong, so you need to know what to look out for to protect yourself and your important information. Member safety is always the number one concern to dating sites, which is why they often have a number of ways to ensure no one is in danger. This includes things like never showing your last name or email address on your profile, providing buttons so you can block and report abusive members, making customer support available 24/7, and using SSL encryption technology to keep scammers away and make sure every user is actually a real person. The Pew Research Center recently conducted a study that found that more than 66% of people have gone on a date with someone they met on a dating website or app. Also, that same Statistic Brain research we mentioned earlier says one-fifth of current relationships began online. We’d say the majority of us know somebody, or at least know somebody who knows somebody, who fits into one of these statistics. You could be next if you give online dating a try. 7. Even Celebrities Love It! Celebs who’ve tried online dating include Halle Berry, Jenny McCarthy, and Martha Stewart. Online dating isn’t just for folks like you, me, and my friend — several celebrities have even dabbled in it. An article in US Weekly reports that sites like Match and Plenty of Fish have been graced by the likes of Mariah Carey, Martha Stewart, Halle Berry, Eric Stonestreet, Jenny McCarthy, Lily Allen, Carrie Ann Inaba, Joan Rivers, and Adele. “I’ve always been a big believer that technology, if used well, can enhance one’s life. So here I am, looking to enhance my dating life,” Martha Stewart told the magazine. After some convincing, my friend decided to give online dating a shot. She’s tried three sites, has gone on tons of dates, and, most importantly, is one step closer to finding the right person for her. So, the next time you, or someone you know, are wondering “Should I join an online dating site?” think about the insights we’ve just given you. What have you got to lose?